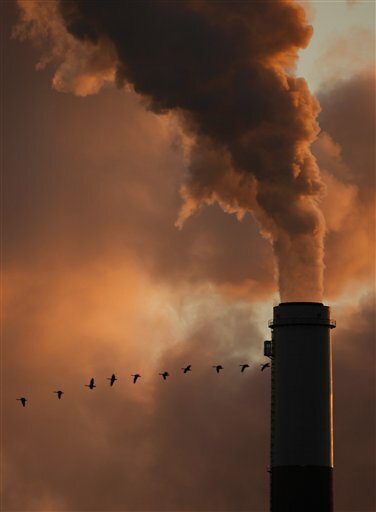 August 16, 2012 by Ken Ward Jr.
— It is uncertain how power companies may respond to four key Environmental Protection Agency (EPA) regulations, but available information suggests companies may retrofit most coal-fueled generating units with controls to reduce pollution, and that 2 to 12 percent of coal-fueled capacity may be retired. Some regions may see more significant levels of retirements. For example, one study examined 11 states in the Midwest and projected that 18 percent of coal-fueled capacity in that region could retire. EPA and some stakeholders GAO interviewed stated that some such retirements could occur as a result of other factors such as lower natural gas prices, regardless of the regulations. Power companies may also build new generating units, upgrade transmission systems to maintain reliability, and increasingly use natural gas to produce electricity as coal units retire and remaining coal units become somewhat more expensive to operate. — Available information suggests these actions would likely increase electricity prices in some regions. Furthermore, while these actions may not cause widespread reliability concerns, they may contribute to reliability challenges in some regions. Regarding prices, the studies GAO reviewed estimated that increases could vary across the country, with one study projecting a range of increases from 0.1 percent in the Northwest to an increase of 13.5 percent in parts of the South more dependent on electricity generated from coal. According to EPA officials, the agency’s estimates of price increases would be within the historical range of price fluctuations, and projected future prices may be below historic prices. — Regarding reliability, these actions are not expected to pose widespread concerns but may contribute to challenges in some regions. EPA and some stakeholders GAO interviewed indicated that these actions should not affect reliability given existing tools. Some other stakeholders GAO interviewed identified potential reliability challenges. Among other things, it may be difficult to schedule and complete all retrofits to install controls and to resolve all potential reliability concerns associated with retirements within compliance deadlines. dioxide emissions to address climate change. Such future requirements could affect the attractiveness of additional investments by power companies in existing coal-fueled generating units because coal-fueled units are more carbon intensive than other forms of generating electricity. As we have previously reported, on average, coal-fueled units produced twice as much carbon dioxide as natural gas units in 2010. Existing tools could help mitigate many, though not all, of the potential adverse implications associated with the four EPA regulations, but the Federal Energy Regulatory Commission (FERC), Department of Energy (DOE), and EPA do not have a joint, formal process to monitor industry’s progress in responding to the regulations. Some tools, such as state regulatory reviews to evaluate the prudence of power company investments, may address some potential price increases. Furthermore, tools available to industry and regulators, as well as certain regulatory provisions, may address many potential reliability challenges. However, because of certain limitations, these tools may not fully address all challenges where generating units needed for reliability are not in compliance by the deadlines. FERC, DOE, and EPA have responsibilities concerning the electricity industry, and they have taken important first steps to understand these potential challenges by, for example, informally coordinating with power companies and others about industry’s actions to respond to the regulations. However, they have not established a formal, documented process for jointly and routinely monitoring industry’s progress and, absent such a process, the complexity and extent of potential reliability challenges may not be clear to these agencies. This may make it more difficult to assess whether existing tools are adequate or whether additional tools are needed. NERC, the North American Electric Reliability Corporation published a report analyzing the the impact of the Obama administration’s greenhouse gas rules and it concluded these rules would have an sever and adverse impact on the reliability of the nation’s power grid. Not really all the shocked that you didn’t bother to mention it, relying on the much more friendly GAO report, but this area is NERC’s mandate .. which would probably explain why Obama ordered a retaliatory audit of the agency. Thanks for your comment. Which NERC report are you referring to? Are you referring to this report? Narrow reserve margins in Texas and New England are generally expected regardless of actions associated with the EPA regulations and may be attributed to a number of factors such as electricity demand growth exceeding electricity generating capacity. Officials from the system planner in New England told us that they expect to have sufficient capacity available. They noted that at least some of the study results may not have taken into account mechanisms in their region to ensure sufficient capacity is available in the future. because efforts to mitigate reliability effects are not completed in time. sufficient to address issues that do arise.